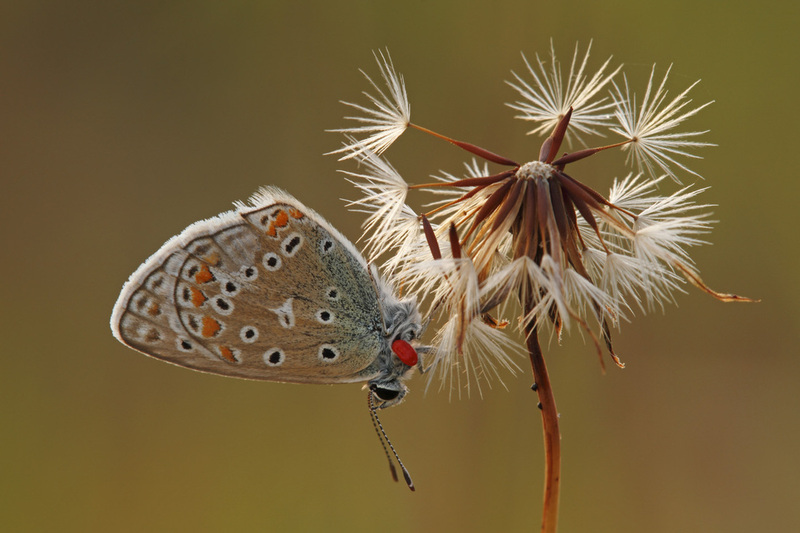 The populations of most European butterfly species have been declining for many years. The main cause is the exploding human population, with its ever-increasing demands for houses, roads, factories and agricultural land, leading to the destruction of all kinds of natural habitat. 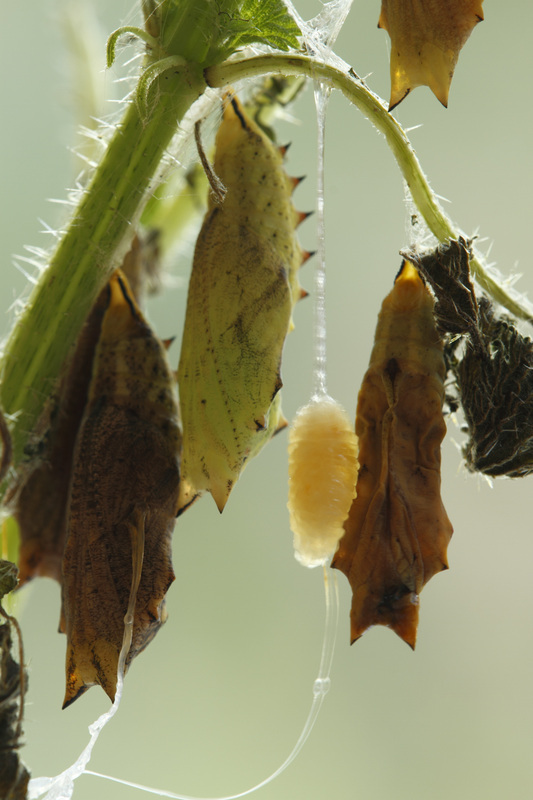 In their wake, urbanization, industry, and intensive farming bring widespread pollution of air, soil, and water, causing further problems for butterflies and other wildlife. 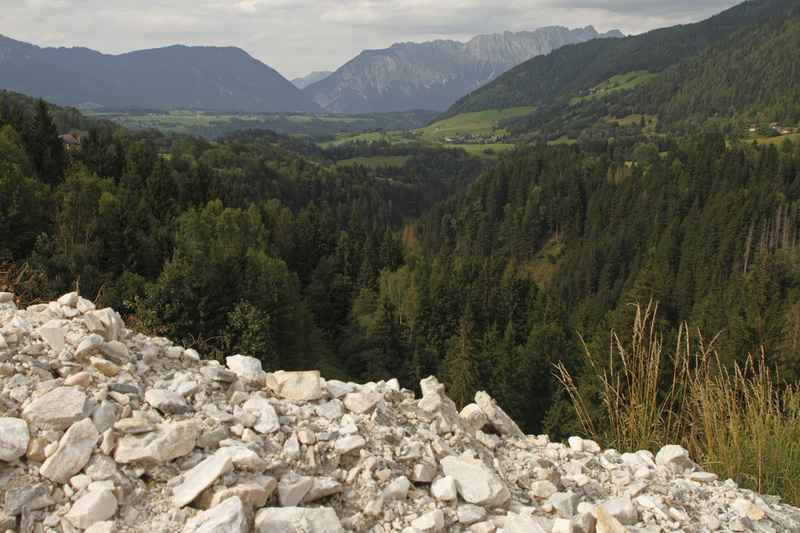 ​The main current threat to European butterflies is the loss of their habitat due to human influence! This cards shows the urbanization of the Netherlands from 1920 until 2010. The light green colour is deceptive as it is agricultural land. Only the dark green spots are nature areas. 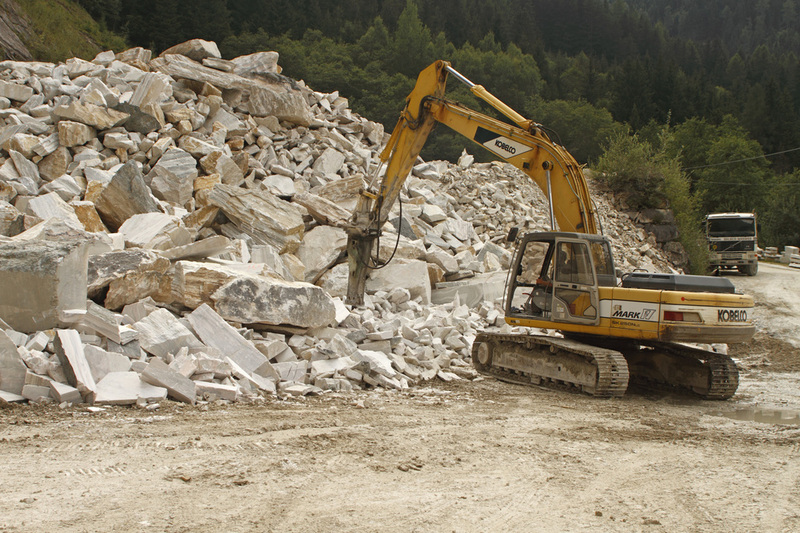 The urbanization and destruction of land continues. Huge factory farms for animals has been built the last decade and the building of these farms/stables still continues. 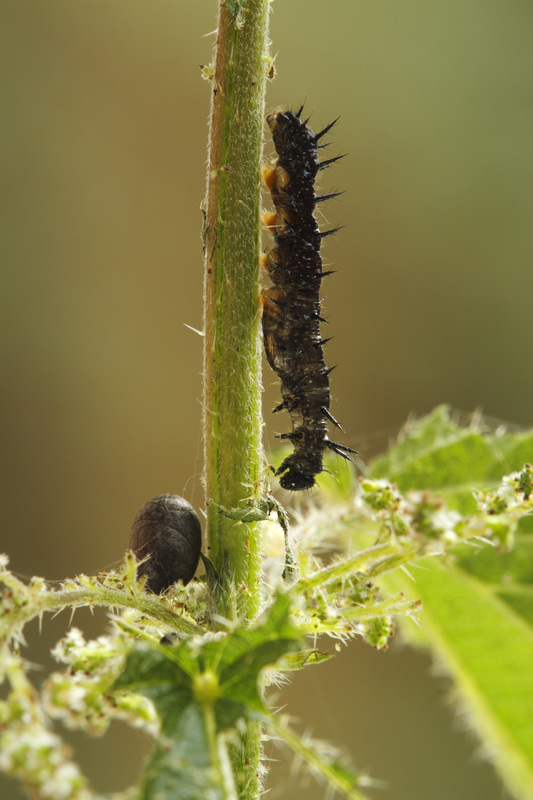 This image is taken in March 2018 and 400 metres from this new pig stable the endangered White Admiral is flying. I really do not understand that because a) I'm against animal breeding under these conditions and b) that close to a nature area. 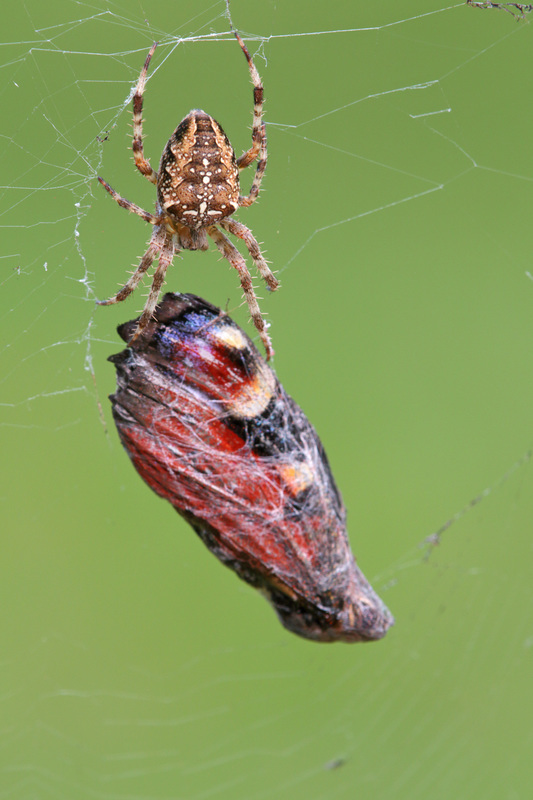 But butterflies also have natural enemies like birds, dragonflies, ants, rob-flies, hornets, wasps and spiders. Birds are often seen attacking butterflies in flight. 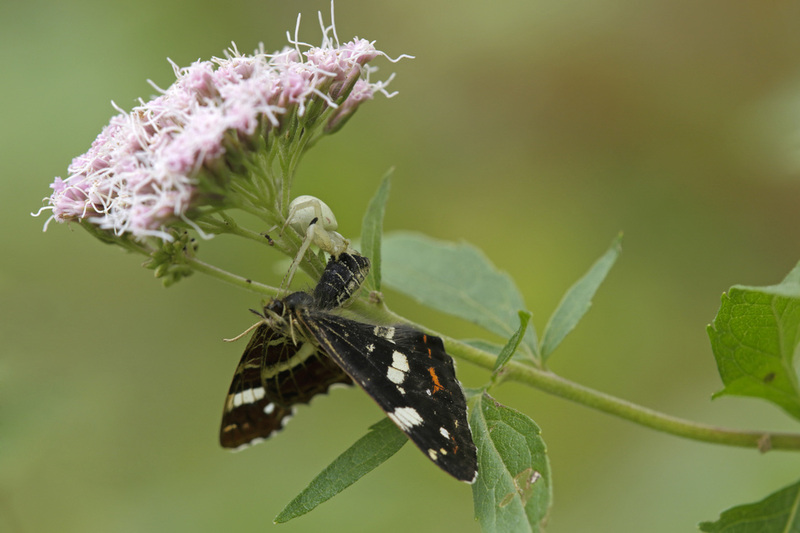 Crab spiders often spend several days on a flower head, waiting for their next meal to fly in. 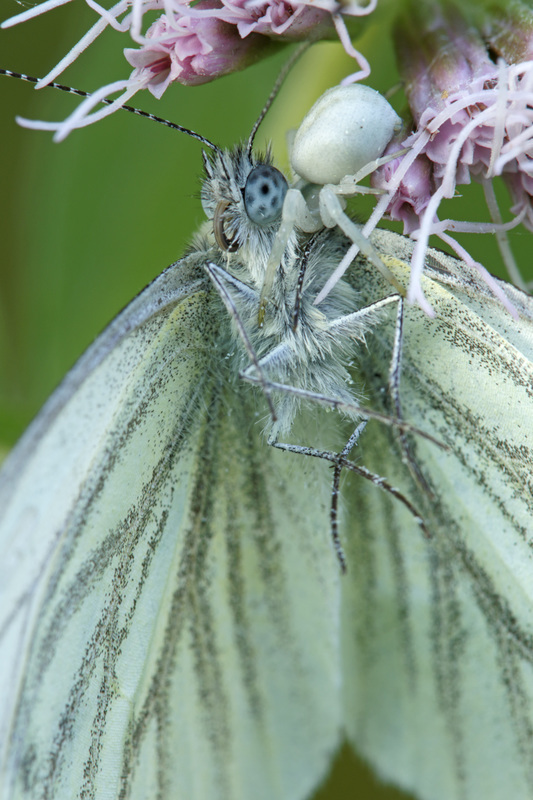 They have excellent forward vision, and move immediately and stealthily towards any butterfly or other insect which settles on the flower. 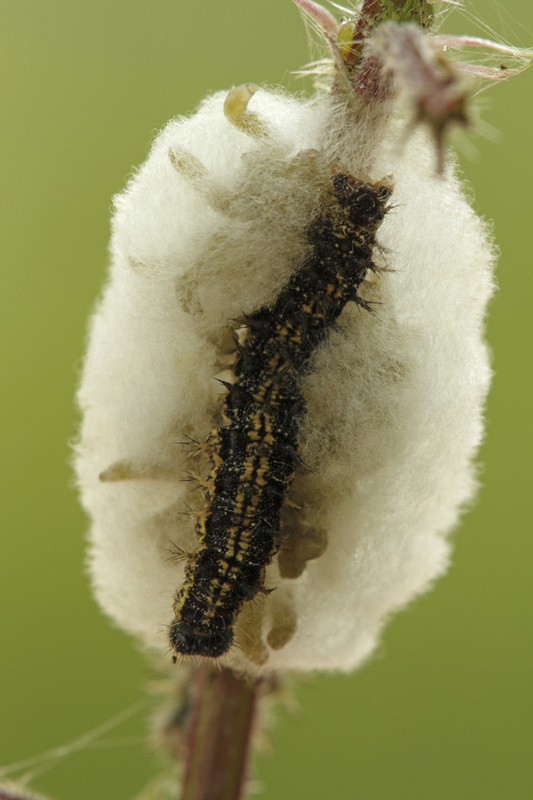 Common Toads are major predators of caterpillars. 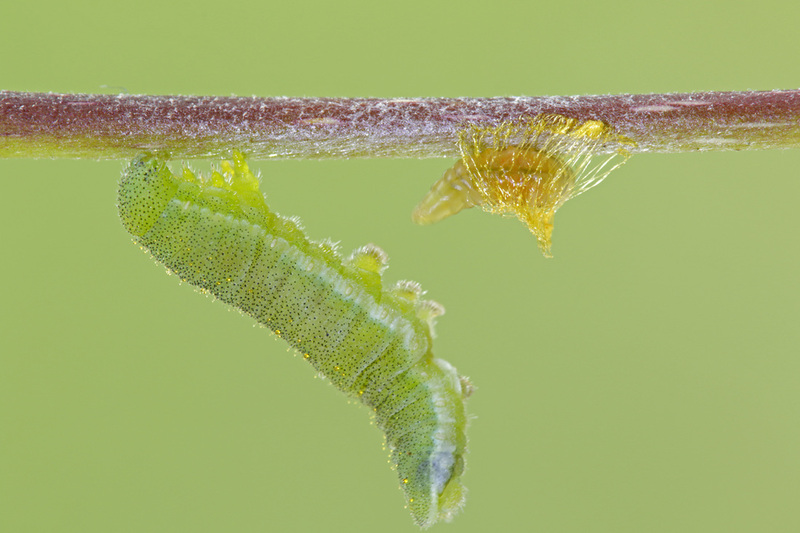 → I found a tiny little caterpillar of the Swallowtail; for two weeks I checked this caterpillar every morning and evening on my route. 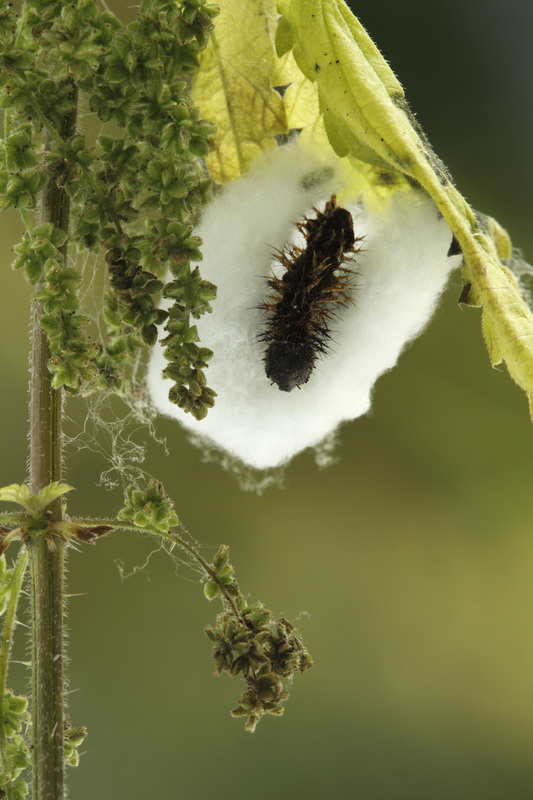 He was resting, eating and hiding on a big fennel plant. 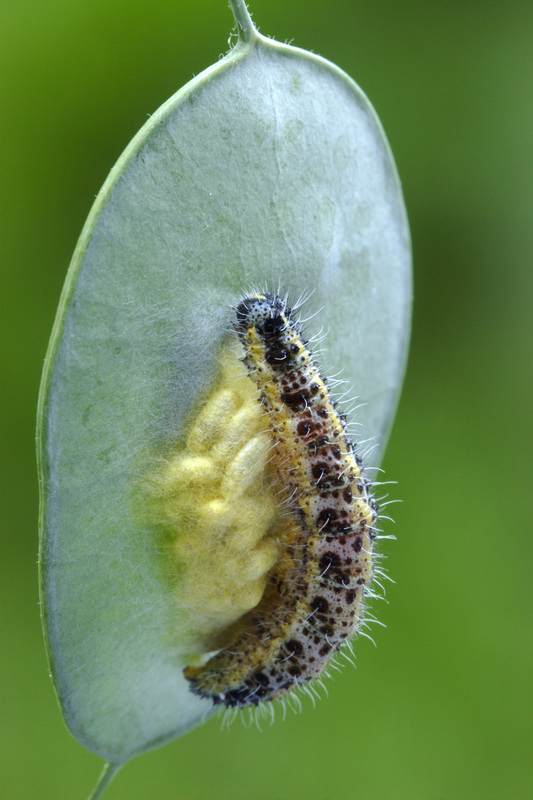 Some days later I discovered two fresh eggs on the plant which were eaten by this hungry caterpillar. 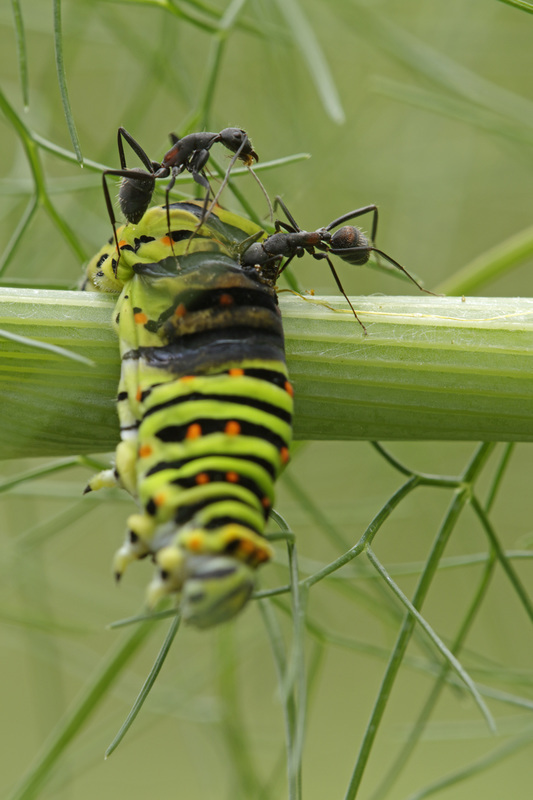 After he had eaten the complete fennel stalk including eggs I had the impression that he was ready for the next stage (transformation into a pupa) and I was wondering if het would stay in/on the fennel. Unfortunately he was attacked by ants which were eating him alive! 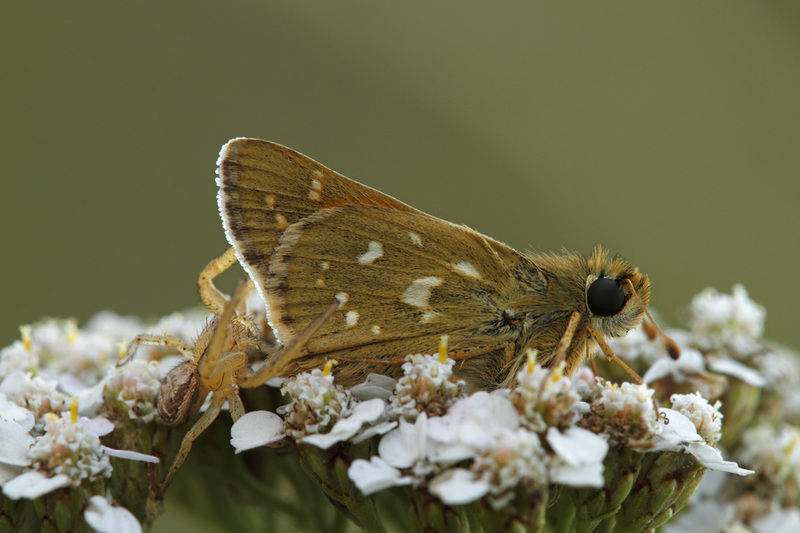 ←This is a Silver-spotted Skipper (Hesperia comma) with a hunting spider behind him. 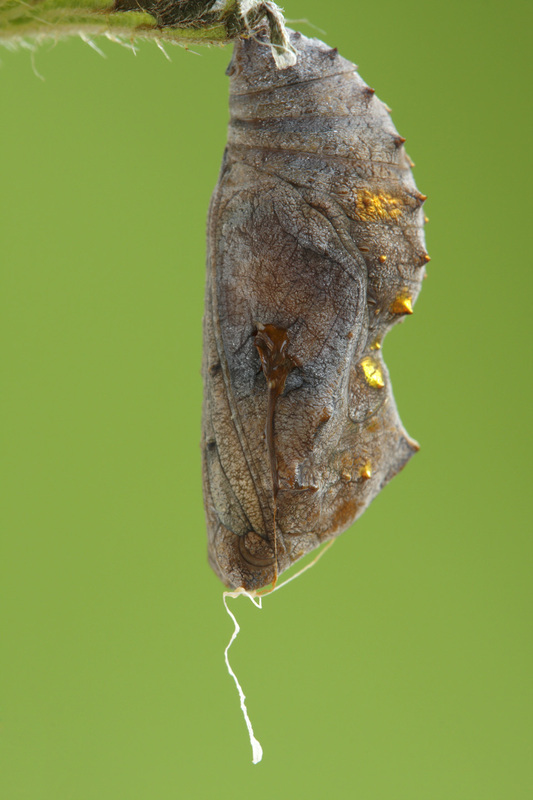 ←This is a Map Butterfly which was caught a few hours after he was emerged from the chrysalis by a crab spider. 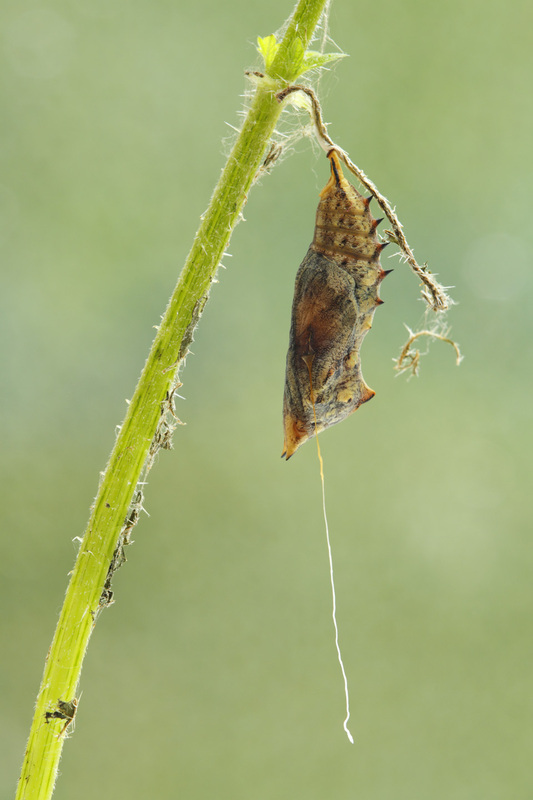 Many butterfly species fall victim to tiny wasps that inject their eggs into the soft newly laid butterfly eggs. 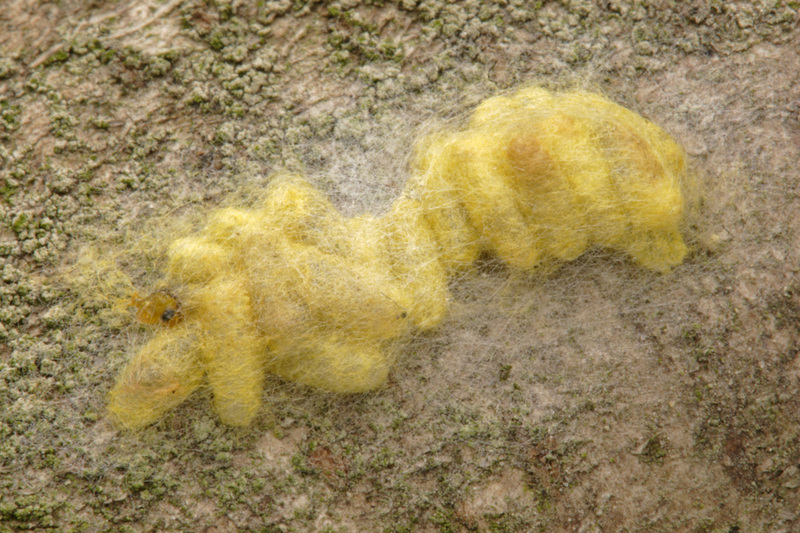 When the wasp grubs hatch they feed on the organic matter within the egg, killing the potential caterpillar. 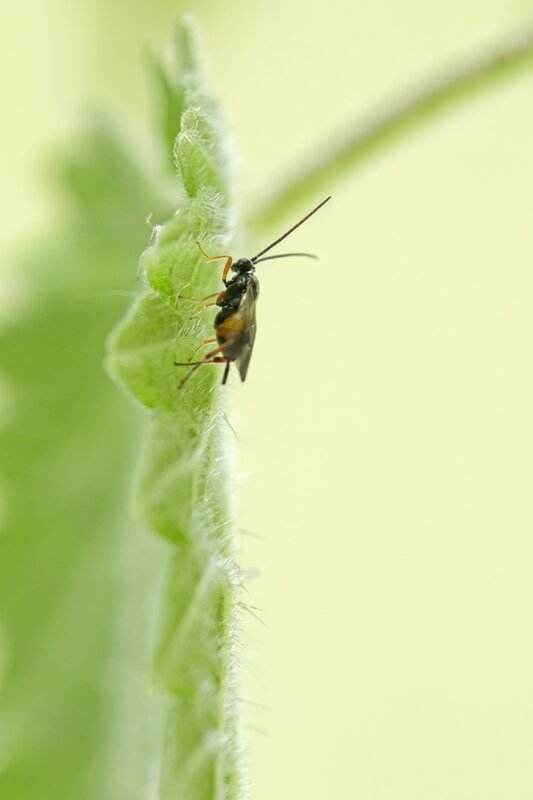 The adult wasps emerge a few days later and use their mandibles to cut minute exit holes to make their escape from the eggs. 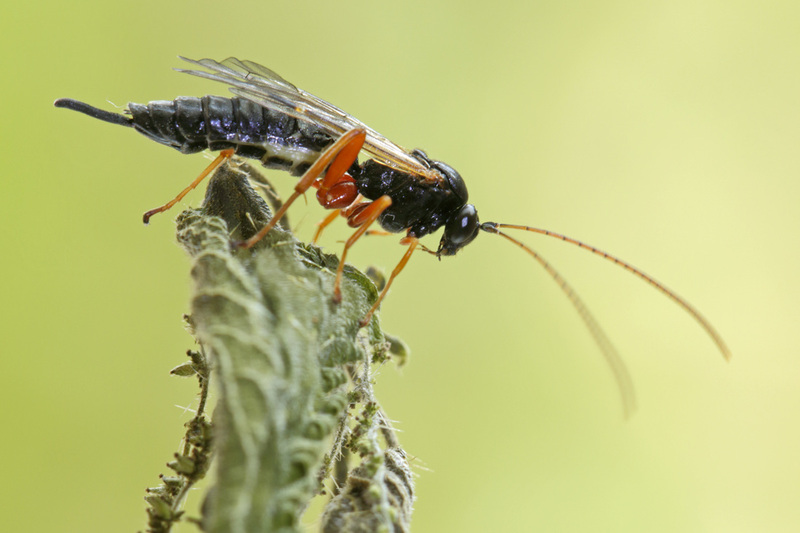 In some cases as many as 60 microscopic wasps can emerge from a single butterfly egg. 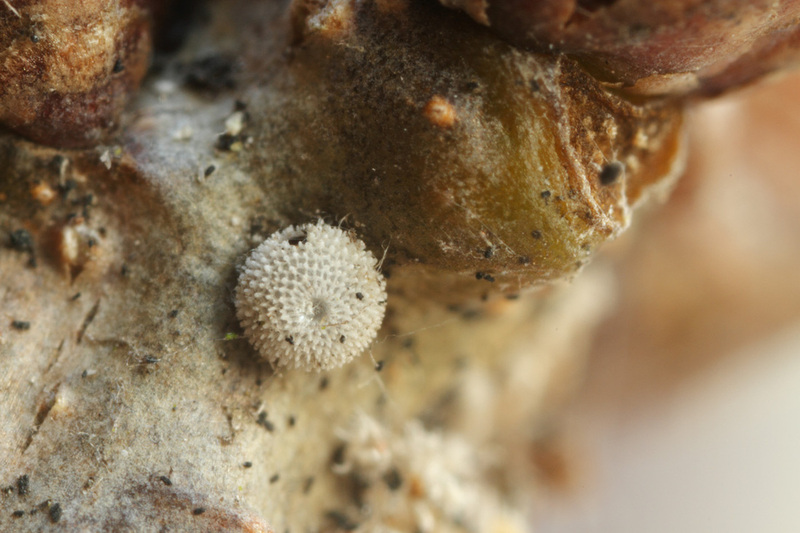 This is the empty egg of the Purple Hairstreak (Flavonius quercus) , on the upperside you can see the exit hole. 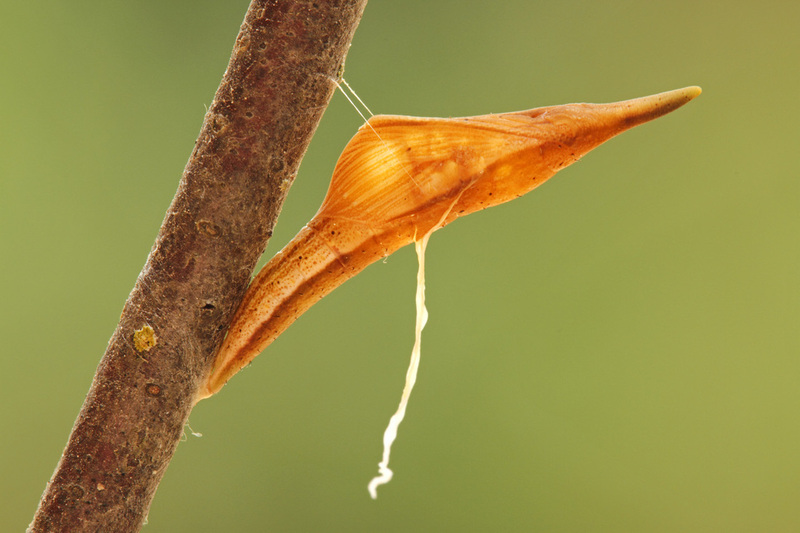 This larva which left the caterpillar of the Brimstone fasten itself on the branch and pushes its host that long untill it fell down on the ground. 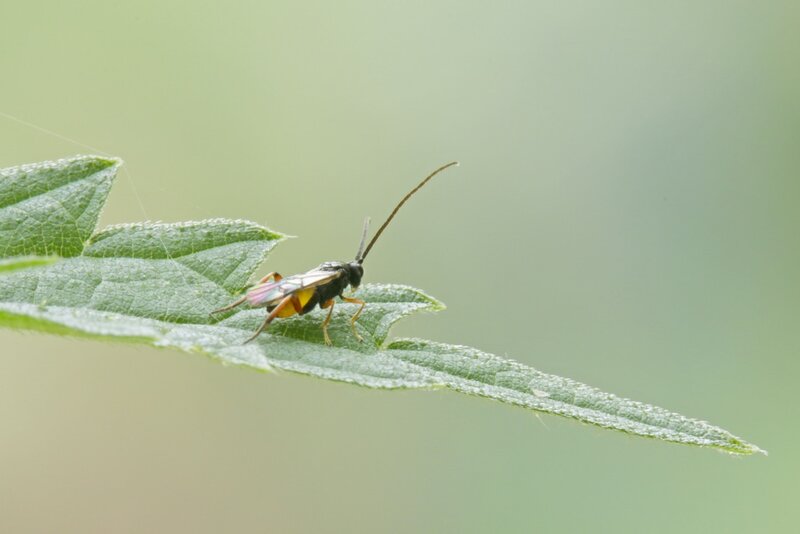 ​Parasites are little creatures which feed on other organisms, but unlike parasitoids they do not bring about the death of their hosts. 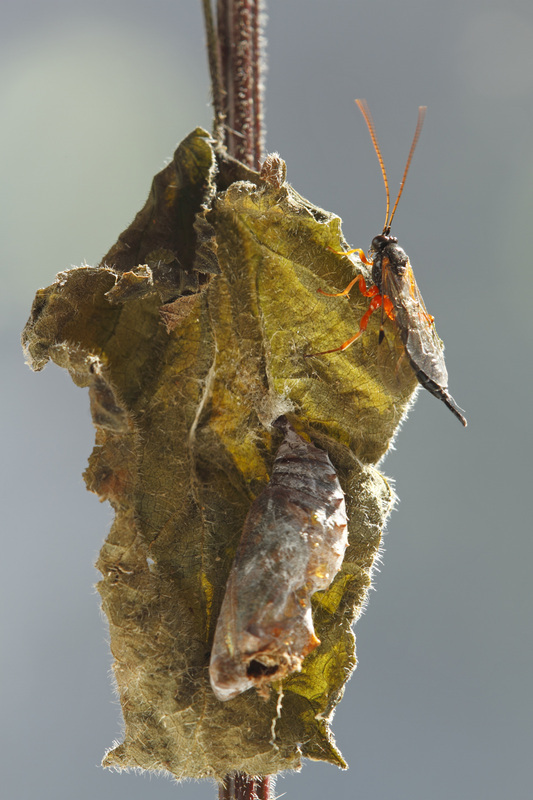 In the case of Lepidoptera, these generally affect the adult butterflies and moths. 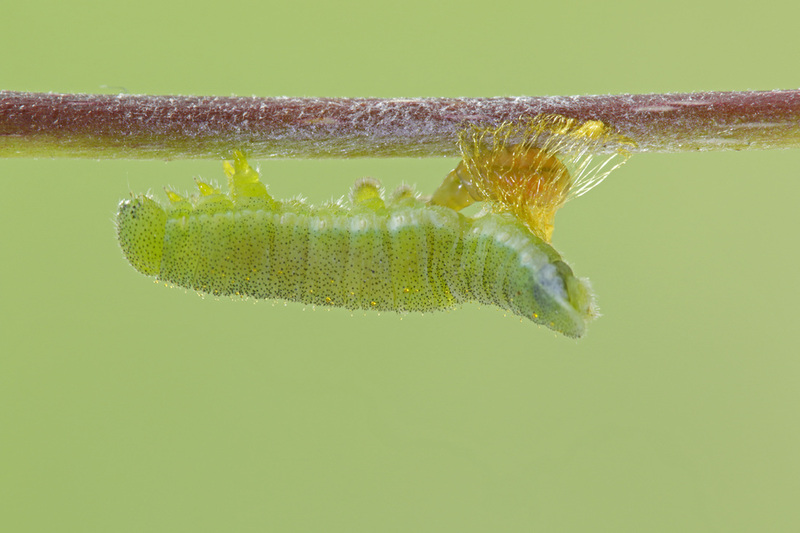 Red mite on a Common Blue (Polyommatus icarus) ; photographed in France.